Windswept Farm is located on May Pond, high on a ridge above the village of Barton in Vermont’s Northeast Kingdom. This is one of the highest farms in Vermont. Views stretch from Sugarbush Mountain Ski area, north to Mt Mansfield, Jay Peak and Mt Orford in Quebec. The farm produces organically grown Christmas trees, pick-your-own berries and apples,cherries and pears. 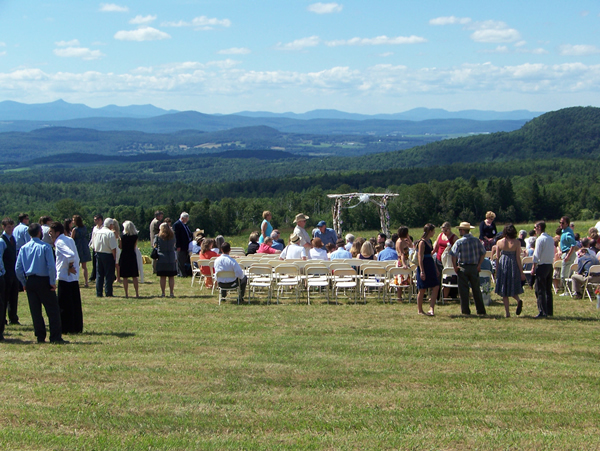 Windswept Farm also hosts weddings, reunions and special events. Weddings have ranged from 20 to 350 guests. 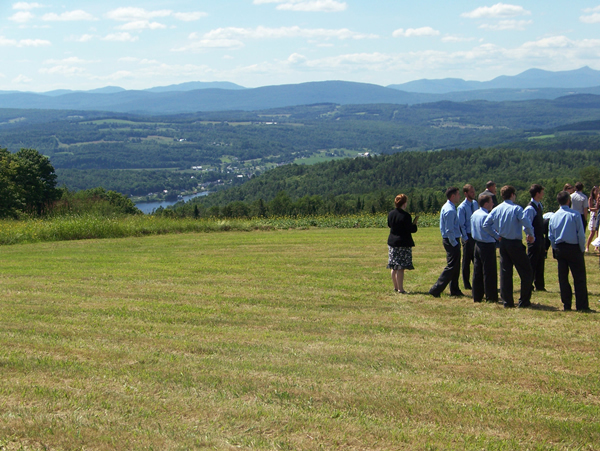 There are several viewpoints with dramatic landscapes for ceremonies. A newly built barn can host a small wedding party or house a caterer for a larger wedding. There are large level sites for setting up a rented tent. Unlimited camping space for guests includes a wood-fired hot tub and swimming pond. Local lakes and mountains offer ample recreational opportunities for a memorable wedding party experience. Pick-your-own berries and fruit can be found from late June to October. Call 802 525 8849 for the latest picking information. All crops are grown using organic practices.